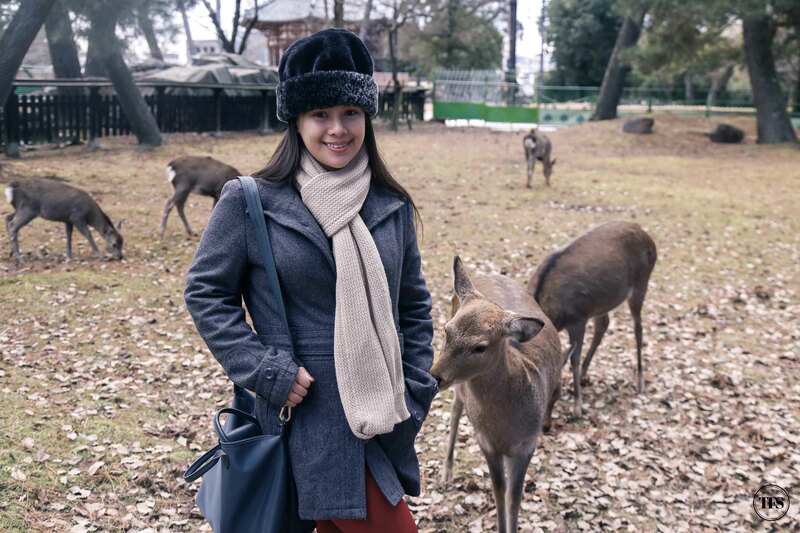 “We must visit the deer,” said Reine dear. 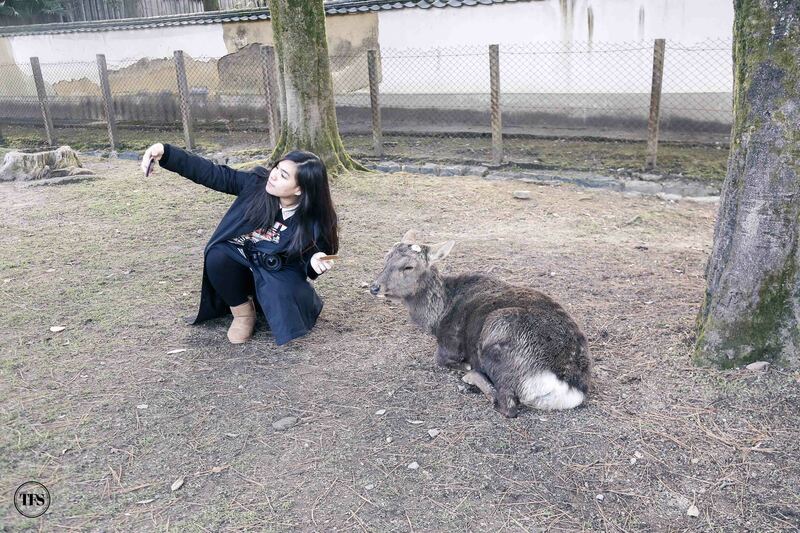 If there’s one place in Japan my sister cannot miss out, that is Nara. 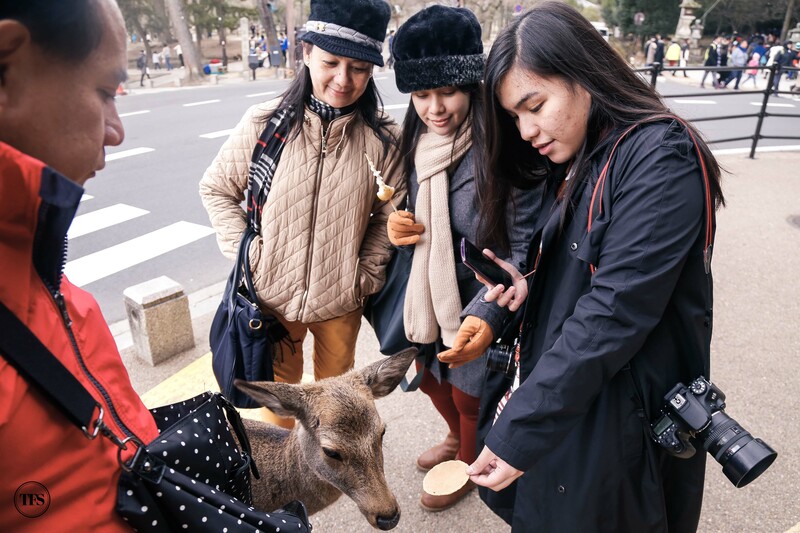 Semi-obsessed to see her fellow deer, I saw Reine’s usual poker face transformed into an animated one as we were on our way to Nara. 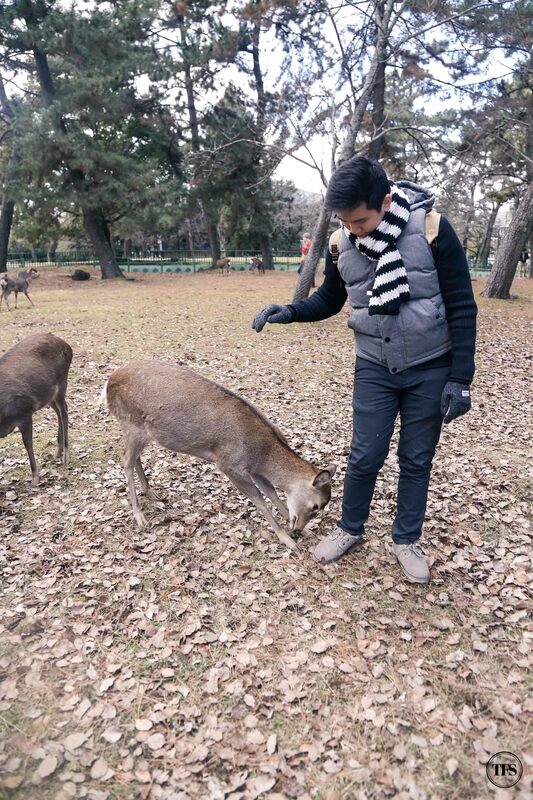 We all love to see those deer, ok? But her excitement is far different from us. 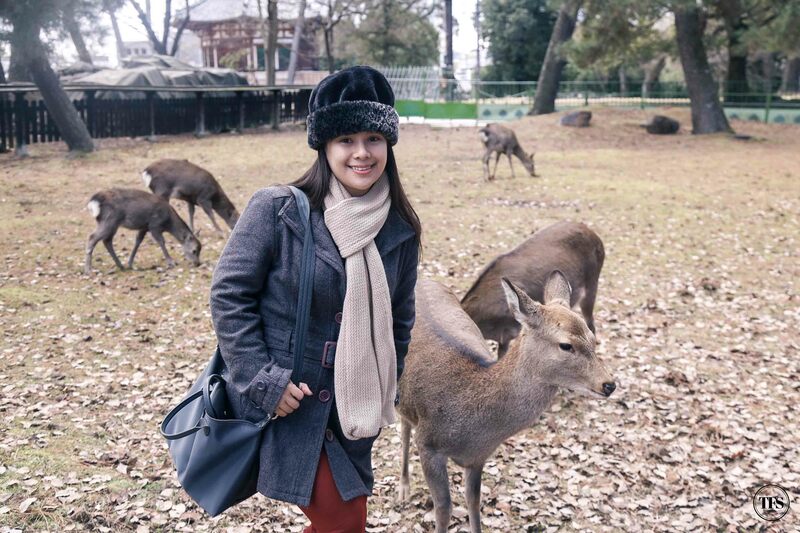 Other than her name Reine(dear), she relates herself to the personality profile of a deer. 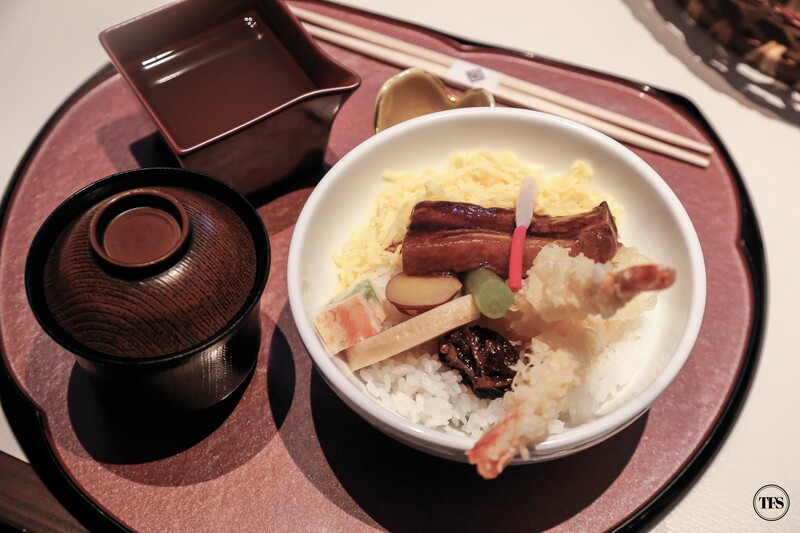 That morning from Namba, we didn’t waste time and rode the Kintetsu Nara line. In less than an hour, we made it! 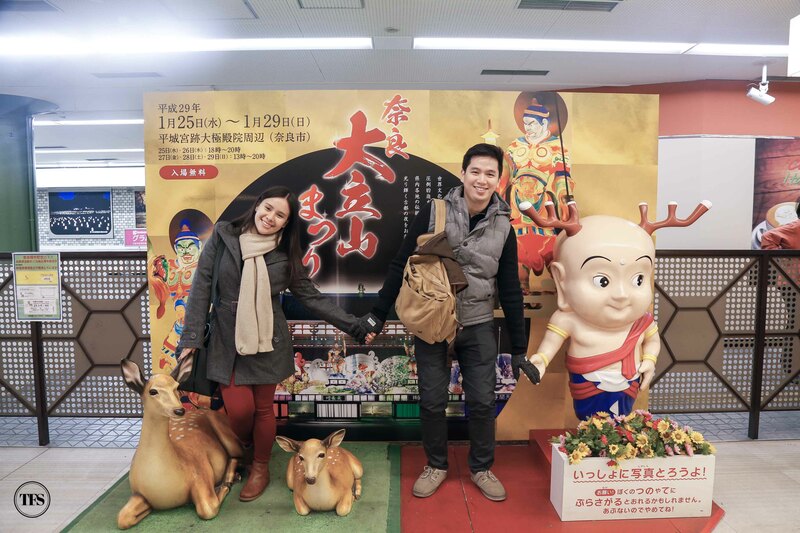 As soon as we got off from the train, deer images and figurines welcomed us to the city. 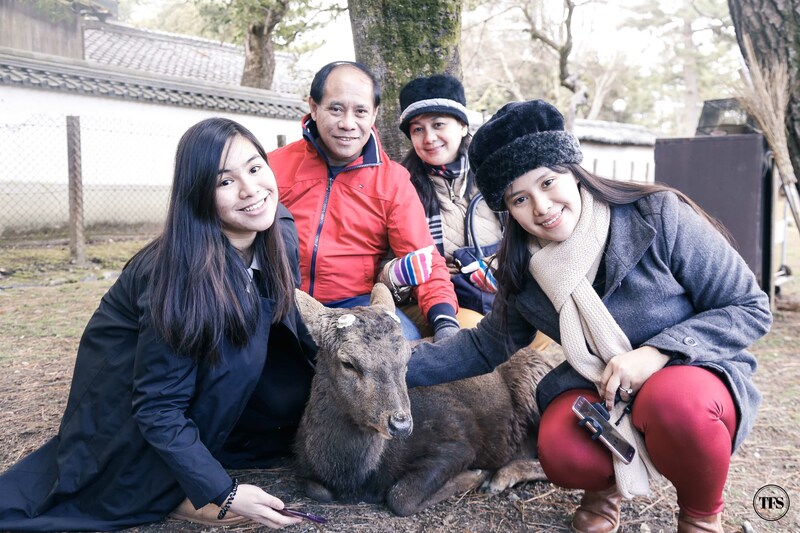 The oldest capital of Japan, Nara is a place to visit for historical sites – temples, shrines and ruins. 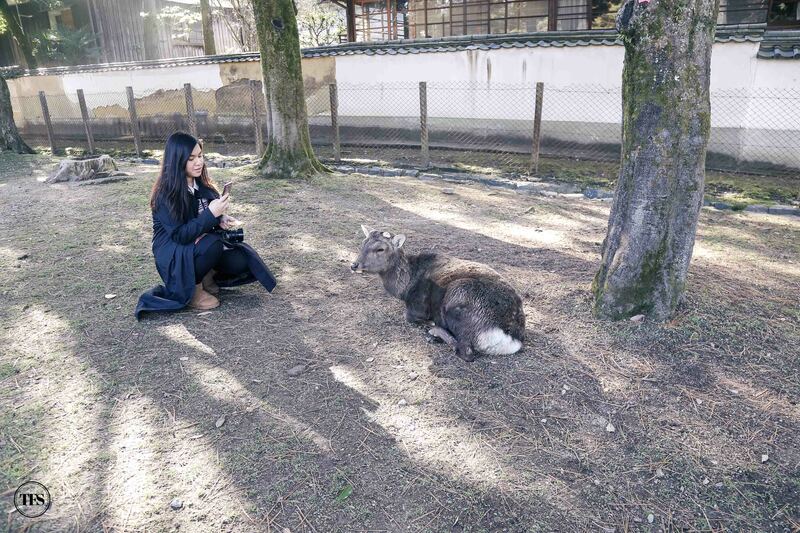 Though we weren’t in it for the historical monuments of ancient Nara, we went out of our way just to play with the deer. 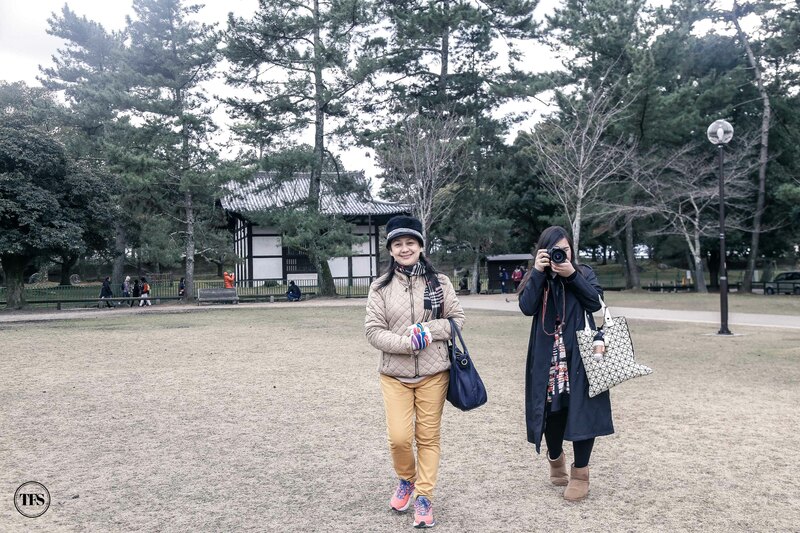 Too excited to see one, the tourists (us) posed beside the fake ones. Haha! 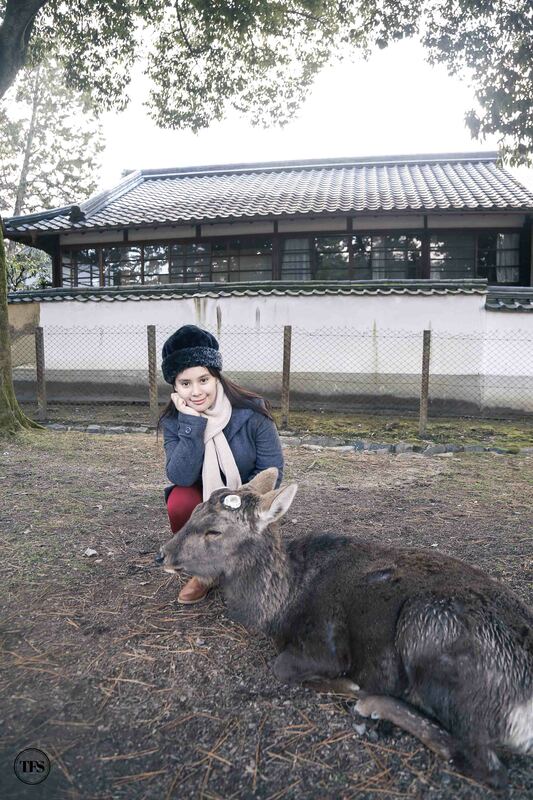 Before visiting Nara, I was warned by friends not to just pet any deer. If they didn’t, I would have thought of holding and rubbing their backs as if they’re dogs. Hahaha! 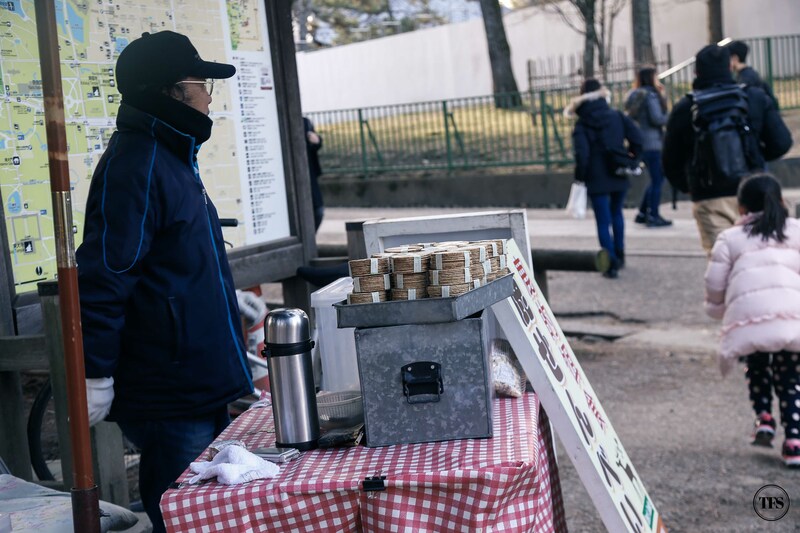 We walked from the train station to the park and there we saw vendors selling deer biscuits. 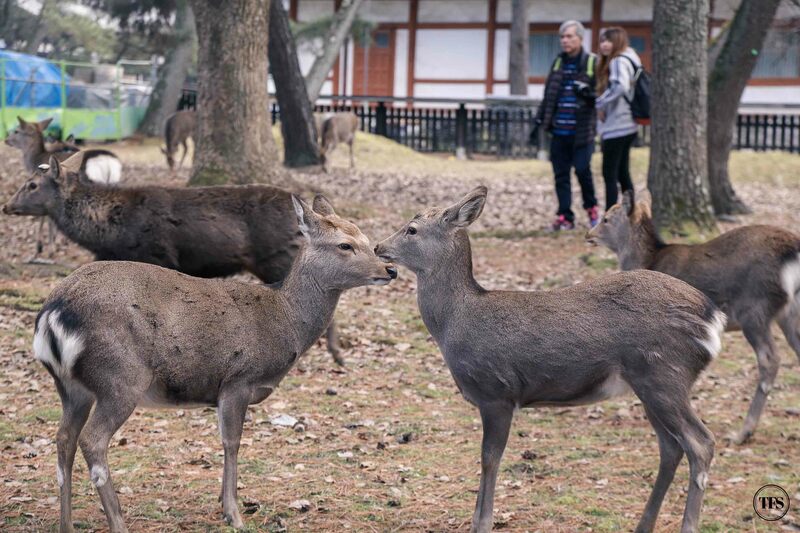 I really think Nara deer are sick of these biscuits tourists feed them. Lol! 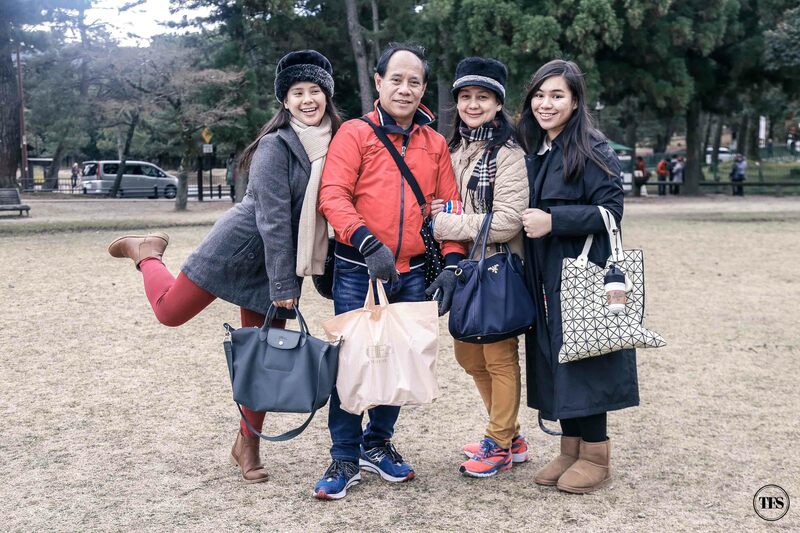 They look so adorable, don’t they? I can just sit around and watch them play! Promise! They’re harmless! Well, that’s based on our experience. 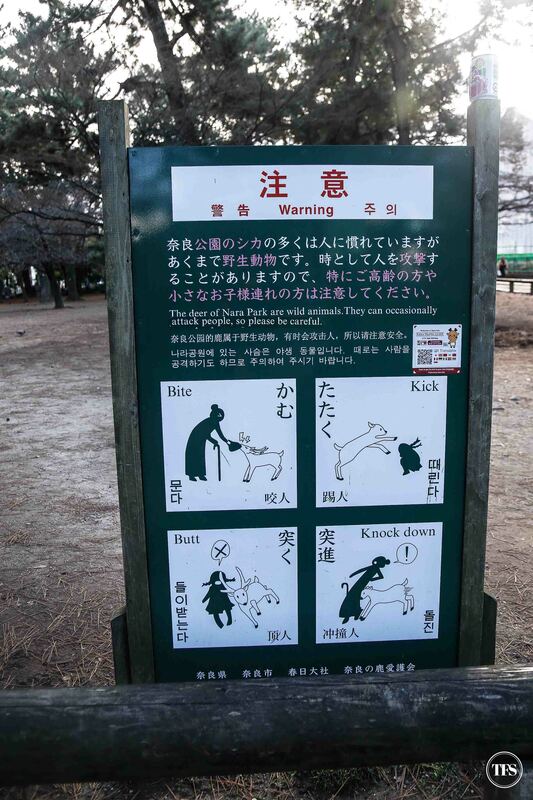 I know stories of deer biting butts. Hahaha! Truth though! 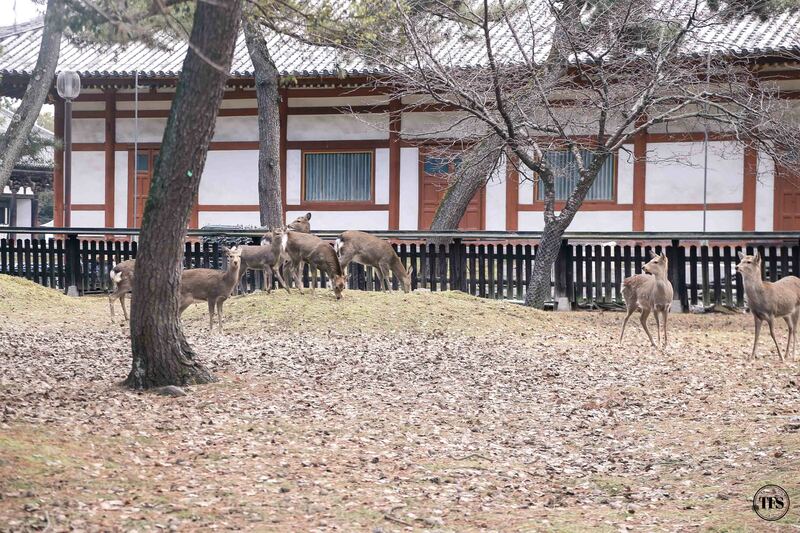 You’ll really see them everywhere, within the park and even outside the park’s premises. Looks like O easily made a new friend. 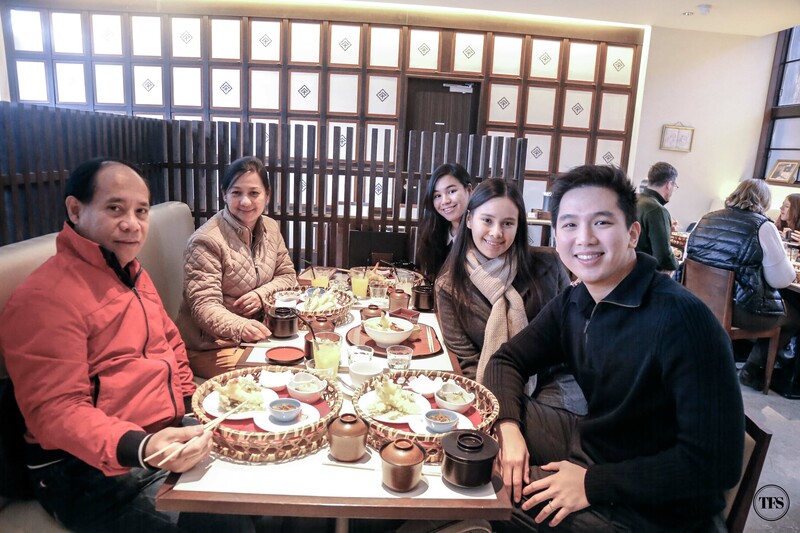 My sister forgot she was with her real family when she saw her other family. 🙁 She just can’t get enough of these deer!! 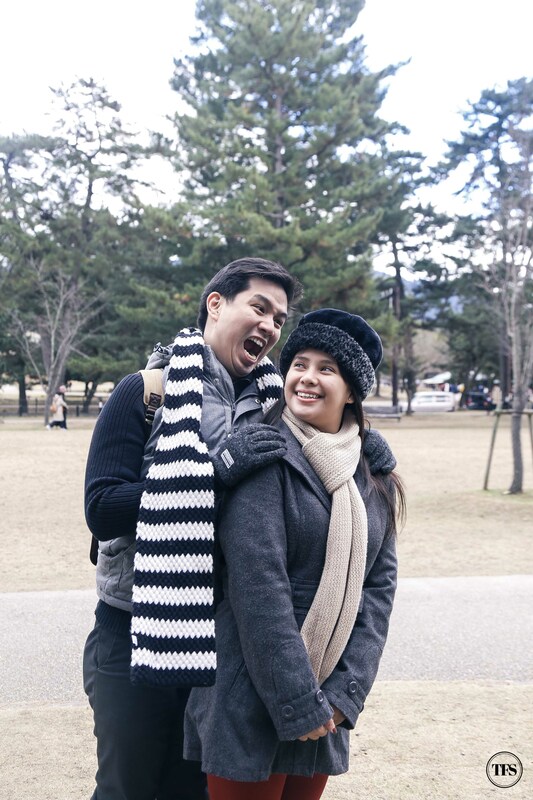 This is our kind of post-nup photoshoot. Hahaha! 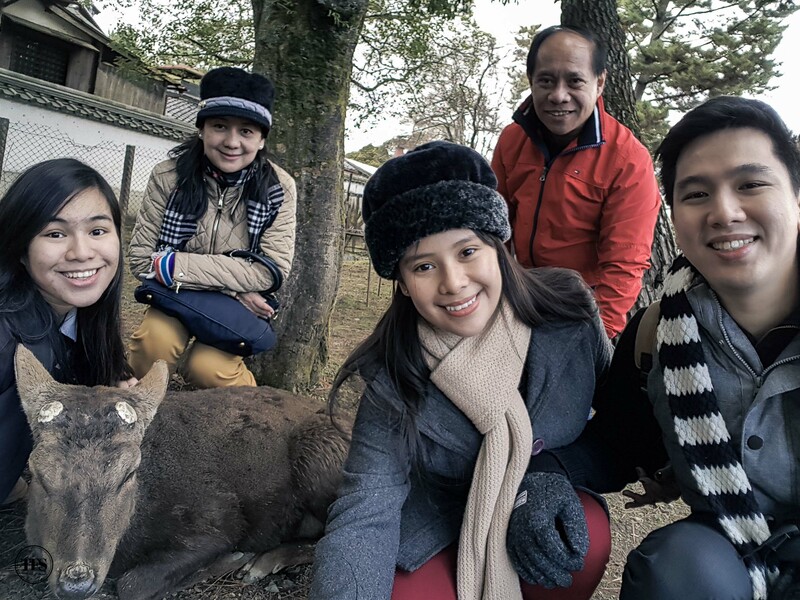 When we were about to take a turn to find a restaurant to eat, we had to halt for a moment because of this friendly deer following us. Hayyy! They’re really so cute! 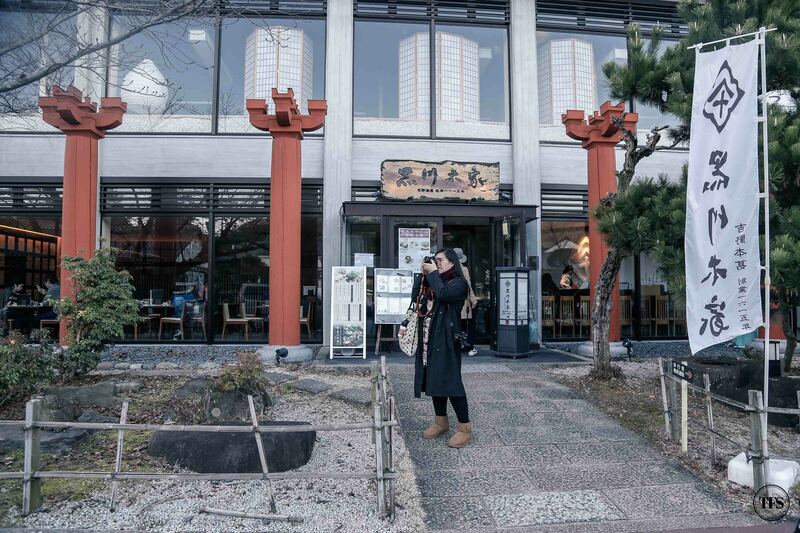 For our late lunch, we ate at this Japanese establishment somewhere near the park. 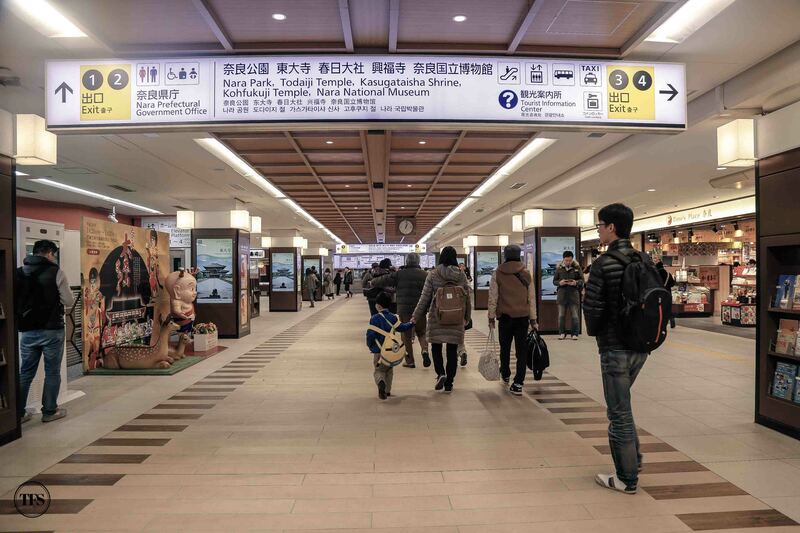 If you happen to stay in Osaka for the holidays, taking the train from Osaka to Nara is hassle free! 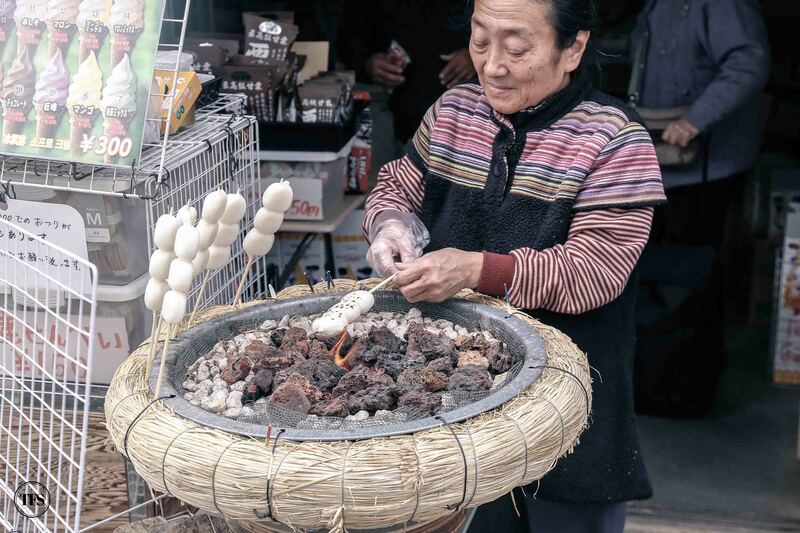 Like what we did, you may opt for just a day trip. 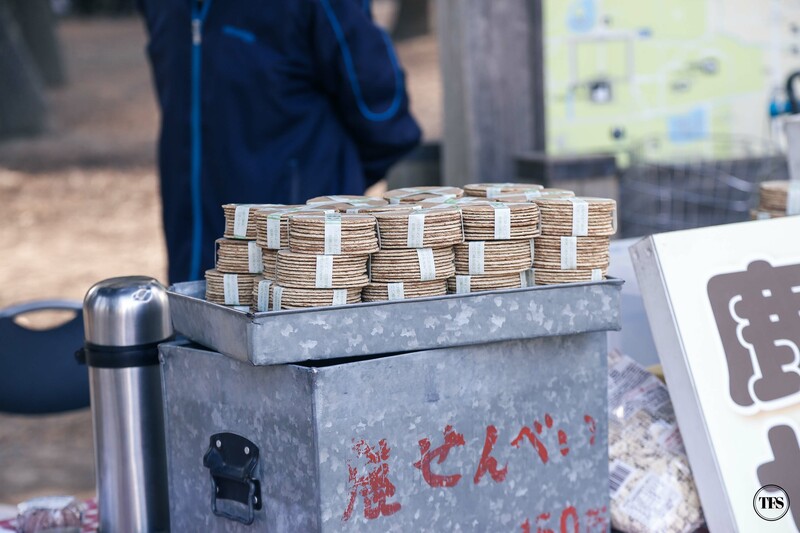 Nara is a city you need to add to your itinerary when you visit Japan. 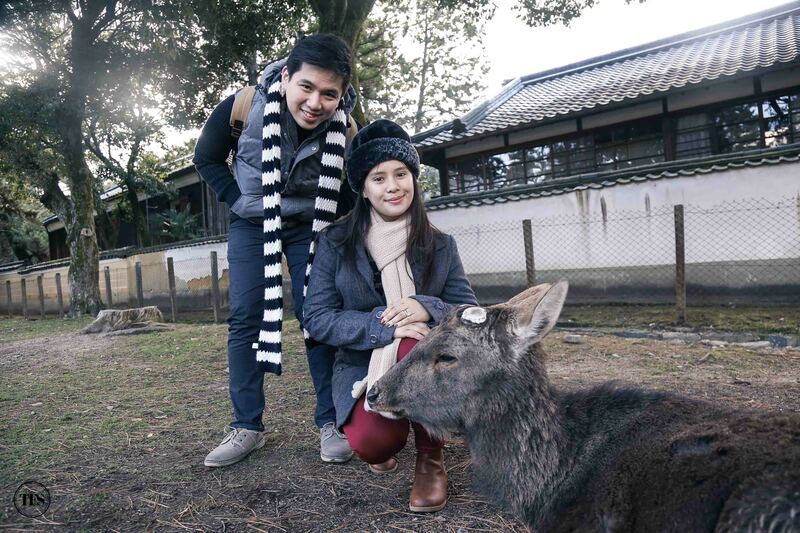 The tranquil environment, surrounded with nature and deer, shows another face of why you’ll love Japan. 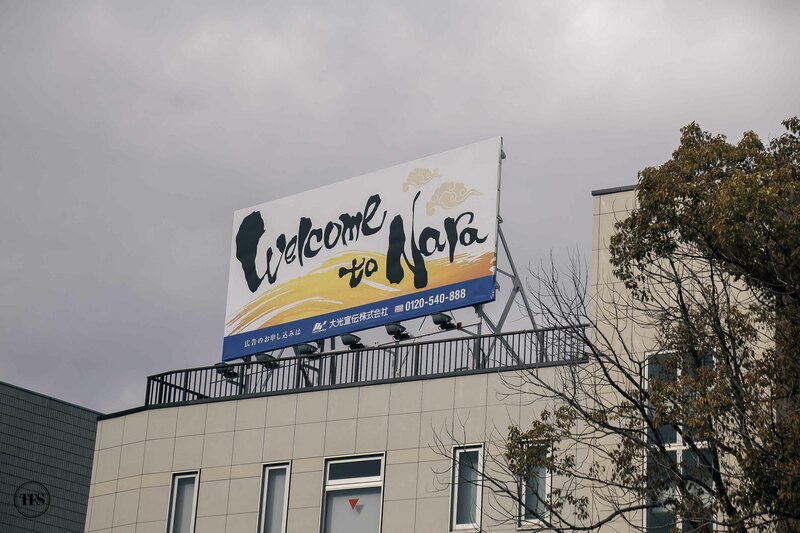 What do you think of Nara, Japan?